The use of stem cells to repair organs is one of the foremost goals of modern regenerative medicine. Scientists at Helmholtz Zentrum München and Ludwig Maximilian University of Munich have discovered that the protein Akna plays a key role in this process. A study from a Massachusetts General Hospital research team has identified the specific function of a protein found in HIV and related viruses that appears to slow down viral spread in the earliest stages of infection. 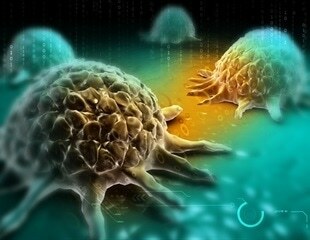 A molecular pathway that's frequently mutated in many different forms of cancer becomes active when cells push parts of their membranes outward into bulging protrusions, Johns Hopkins researchers report in a new study. As many as 300,000 United States service members deployed to Iraq and Afghanistan since 2001 have suffered traumatic brain injury due to explosions. The vast majority of these blast-induced traumatic brain injuries, or bTBIs, were classified as mild. How cells talk to each other, and what they say, has long held fascination for Seema Khurana, professor of biology and biochemistry.